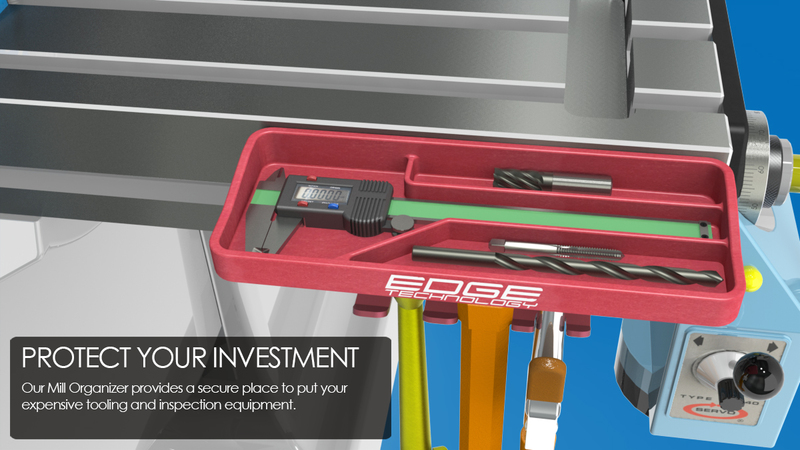 The Mill Organizer by Edge Technology provides a secure place to store tooling and inspection equipment on the front of your milling machine table. •	Designed to fit standard 6" calipers. 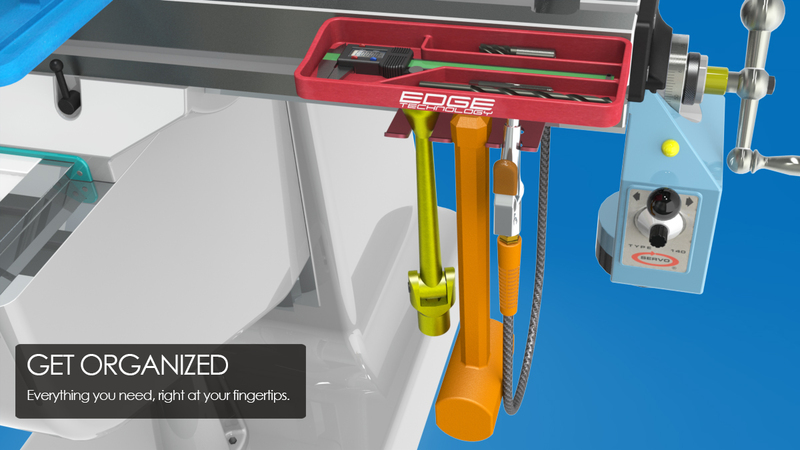 •	Multiple compartments used to segregate endmills and prevent damage to cutting edges. •	Mounts using 3/8" T-slot on table front (mounting hardware included). •	Compatible with Bridgeport brand power feed connecting rod. 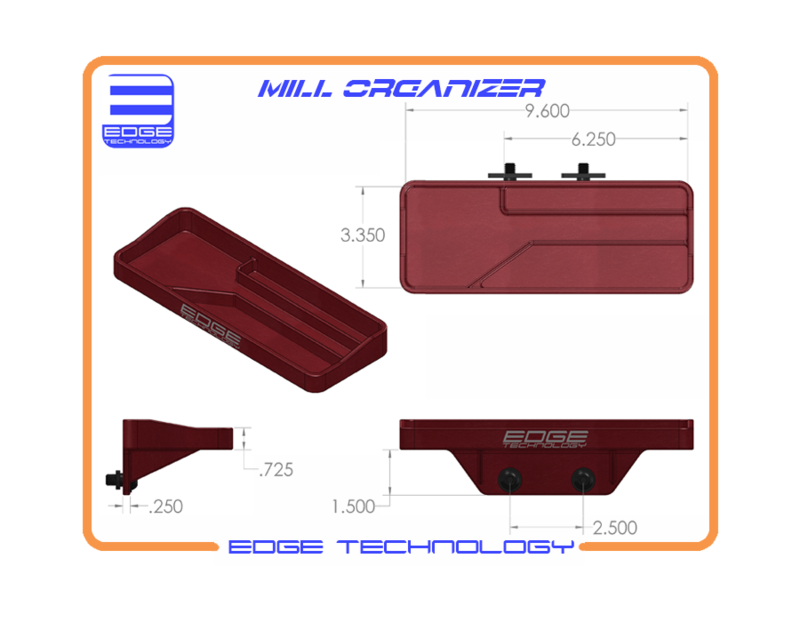 •	Our Mill Caddy can be mounted below to improve organization even further.